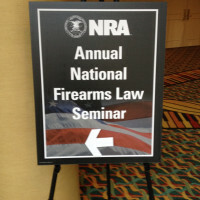 Here we are in Atlanta for the 20th Annual Firearms Seminar. As usual, we’ll be live blogging a summary of the panels. It’s taking me a bit to get used to the humidity. The last time my family was here, we burned the place to the ground. Jim Porter is kicking things off this year. The first panel is Steve Halbrook and Nelson Lund. I’m always happy when they put Steve early. He’s one of the leading experts on this topic, but he has a very mellow, southern gentlemanly voice that is good when the coffee is working at its peak. Steve Halbrook recounts how Heller came about. It’s been so long I had almost forgotten what it was like. Everyone believed the case would be 5-4, but no one was sure which way it would go. It was unknown which side Kennedy would come down on until he questioned the D.C. attorneys “Weren’t the founders pioneers, who needed guns to protect themselves from criminals, Indians and grizzly bears?,” which effectively took everyone off the edge of their seats. It looked like we had Kennedy. Heller was delivered the last day of the Court’s session. Everyone was on the edge of their seats again when it was announced Justice Stevens would read the summary of the Opinion of the Court. That would have meant a loss, but it turned out to be a different case. When it was announced Justice Scalia would be read the summary for the very last case, we all knew it was a win. Interesting trivia about DC gun registration: DC argued in Court that their registration system was important because it allowed police officers to check to see if a gun was present on the scene if they were responding to a call. In fact, DC police never checked the registration system before calls. Why didn’t they? They were actually forbidden from accessing DC’s registry. The Court ended up upholding registration anyway, because of course they did. 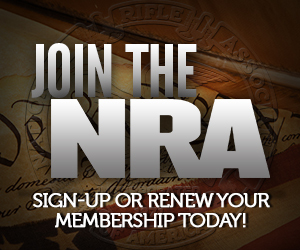 Though, they did throw out the need to re-register. Halbrook believes that cert will be sought in the case of Kolbe v. Hogan, where the 4th Circuit Court of Appeals upheld Maryland’s assault weapons ban via some absolutely atrocious reasoning. I know there have been more than a few people who have asked about that. I am a fan of Professor Lund, because he wrote a law review article about having to look at police use when making determinations about protected arms. His talk today is more broad. He is speaking critically of Scalia’s Heller opinion. I guess we can do this now that he’s dead :) His essential criticism is that while parts of Scalia’s opinion is generally regarded as a great work of originalism, on the core issues relevant to today’s debates it is a weak opinion. The 5-4 decisions in Heller and McDonald could prove to be little more than abortive attempts to begin developing a robust Second Amendment jurisprudence. The Supreme Court has disinterred the Second Amendment, but it has yet to give it meaningful life. When it comes to gun control, it is hard to see much personal benefit for our elites beyond the sheer joy of exercising the will to power over people they regard as intellectually and morally backward. I wish I could say his outlook on the Second Amendment is optimistic, but it isn’t. I wish I could come up with reasons to disagree with this outlook. One of the absurdities of Heller was a legal argument that the Bill of Rights did not apply to DC because it was not a state. You’re quite right that the long-winded statements from the audience not so cunningly disguised as a question by asking the question at the end of a multiple page length declaration are a little tiring.